Spin doctors are seldom out of the news for long. But who really understands what ‘spin’ is, or what spin doctors do? The media has moved on from a world where press officers carried piles of newspapers to the office each morning, when Twitter was what birds did and mobile phones were the size of bread loaves. Thank goodness Paul Richards is here to explain spin doctoring in a digital world. 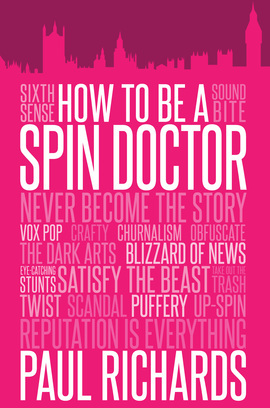 Paul Richards challenges the increasingly negative connotations of spin, arguing that it is neither a dishonourable practice nor a new one; it’s simply the most practical way to convey information or make a point. The truth of the matter is that the spin doctor’s trade secrets can be useful to anyone trying to promote a company, client or cause: to protect reputations, get messages across and win public support. So it’s time to start reading and get spinning.